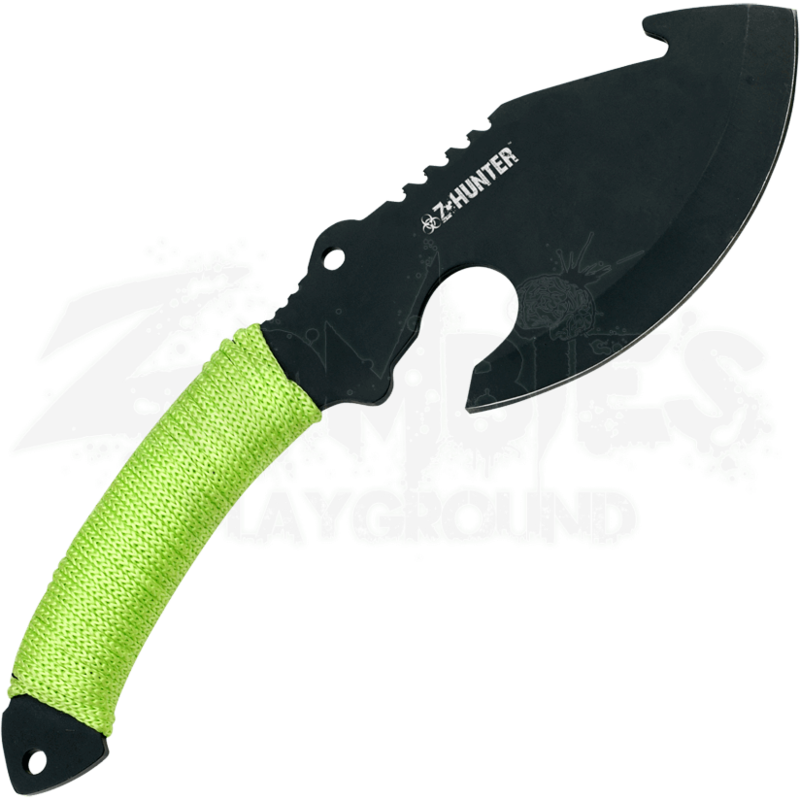 When you want a weapon that will stand out from other zombie apocalypse blades, the Black Zombie Hunter Axe makes a great choice. This black stainless steel axe features a curved blade, gut hook, and serrated back. 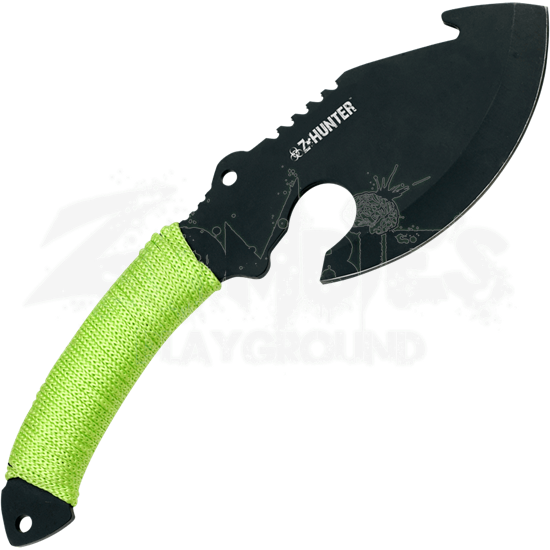 A zombie green cord wraps around the handle to provide a comfortable grip for when you use this axe. Its black nylon sheath guarantees your safety when this axe is not in use and makes it easier to tote around. At a total length of 11 inches, this weapon stays small enough to be light weight, yet it still contains the potential to do some serious damage.